« Remembrance Spellings – 9th November 2012. 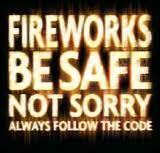 Keep safe this Guy Fawkes Night! A Firework safety assembly was delivered by our PCSO Danny Porter. Please click the link below to see the presentation that he delivered. The law says that if you are under 18, you cannot buy fireworks or have them in public places. It is also against the law to set off or throw fireworks in public spaces or set them off between 11.00 pm and 7.00 am – except during certain celebrations. You also need a licence to sell fireworks. This entry was posted on November 5, 2012 at 2:00 pm and is filed under Year 7. You can follow any responses to this entry through the RSS 2.0 feed. You can leave a response, or trackback from your own site.